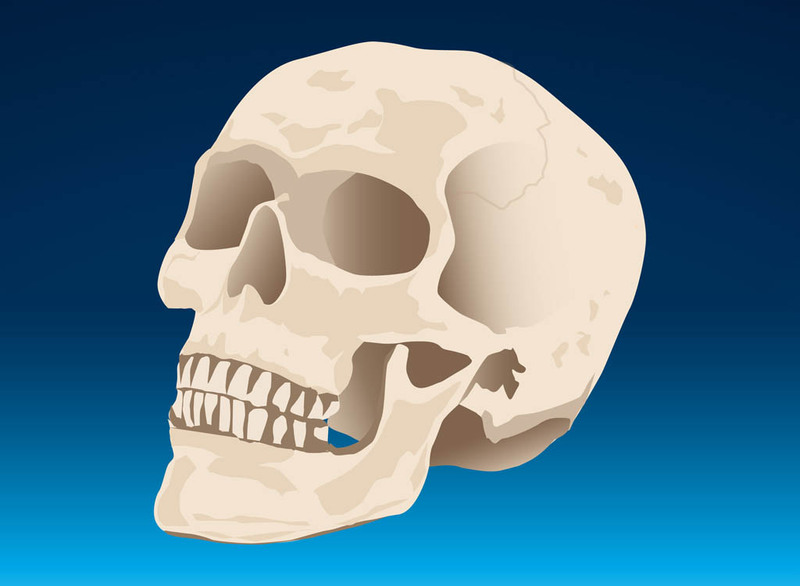 Horror and anatomy vector graphics of a human skull. Aged bones with dents, cracks and darkened bone colors. Free vector image to create horror, murder, Halloween, medicine, medical, anatomy, body parts, skeletons, pirates, corpses and bones visuals. Skull vector for posters and flyers. Tags: 3D, Anatomy, Bones, Dead, Death, Horror, Skeleton, Skull.